This bundle includes the Singular Sound Footswitch, which adds features such as: hands-free genre, song, and tempo selection, as well as accent hits and pauses. BeatBuddy MINI enables full hands-free, creative control of the beat. No matter what instrument you play, effortlessly insert fills, transition from verse to chorus, add accent hits, throw in drum breaks, and more, to create an unprecedented live drummer effect. 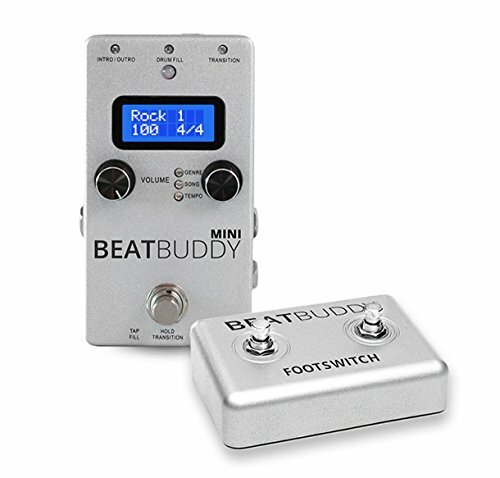 Used in the music programs of School of Rock, Frost School of Music, and Berklee College of Music, the BeatBuddy MINI is perhaps the most effective way to improve one's rhythm and master new genres, all while improvising and having a blast. Control the beat live while you play your instrument. It's the tool every music student needs.